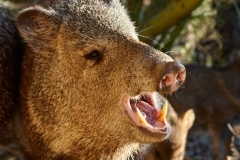 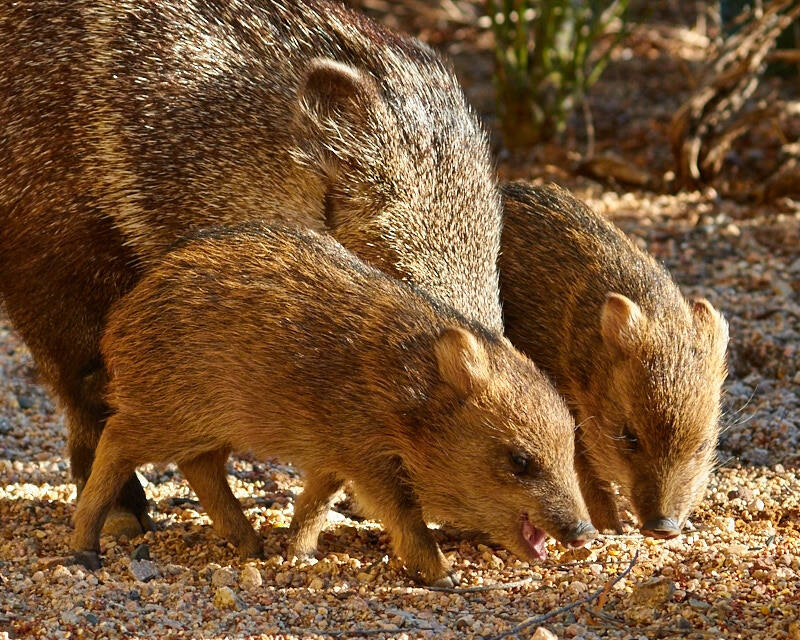 The southwest desert is home to some very different “critters.” One of the most unusual is the javelina. 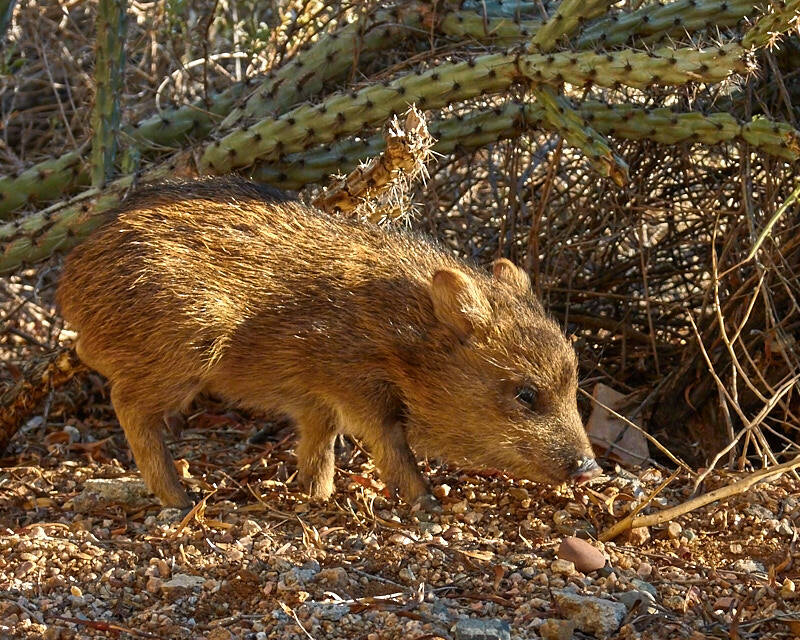 Adults stand about 3-4 feet tall and weight 40-50 pounds. 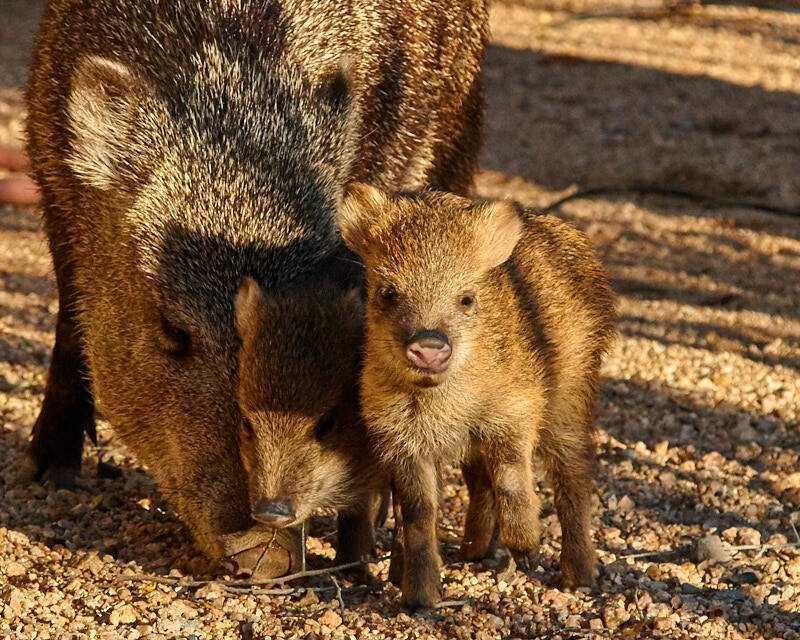 They have impressive looking tusks that are used to warn off potential predators and tear into their food which consists of just about anything they can find. 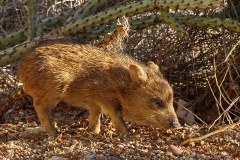 A particular favorite are plants including the spiny prickly pear cactus. 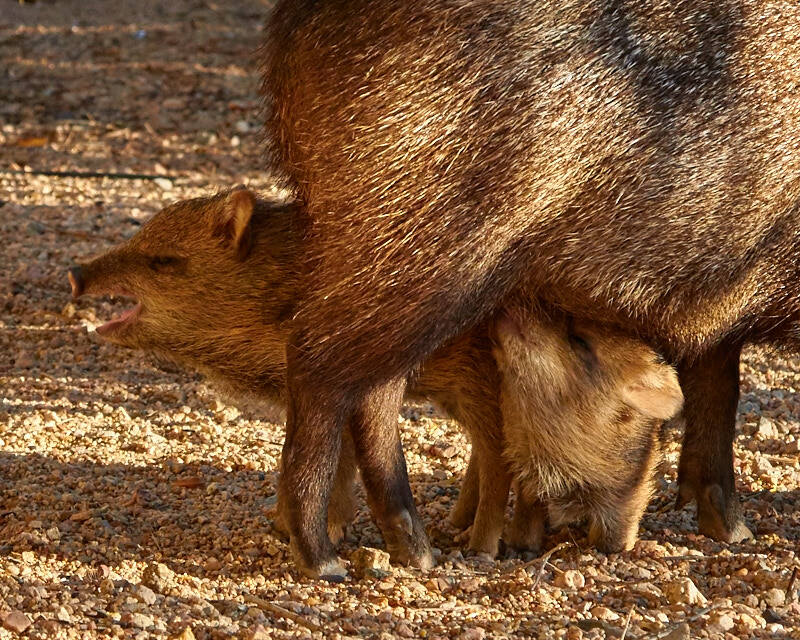 And, they smell! 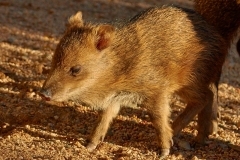 You will usually notice a skunk like odor that they exude before you ever see them. 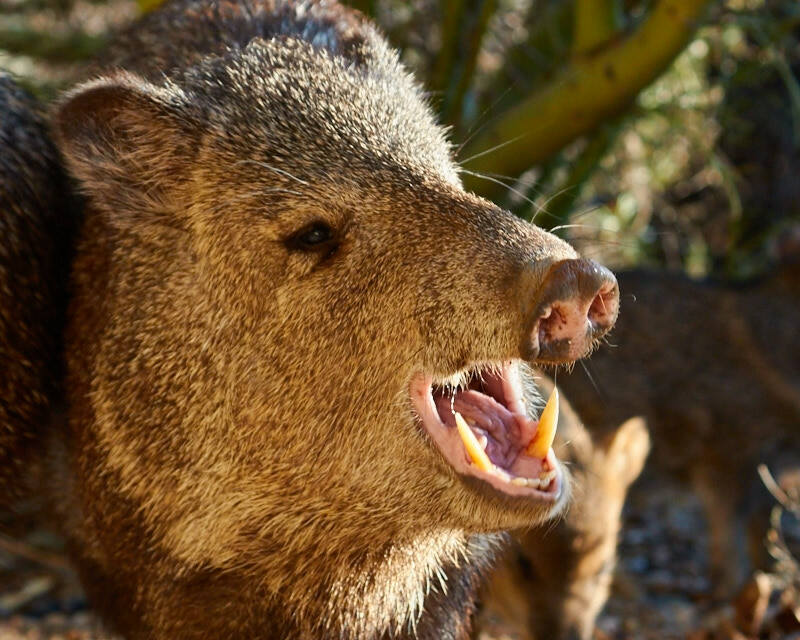 Although fearsome looking, they aren’t any particular threat to humans, and will usually just walk away unless they feel threatened. 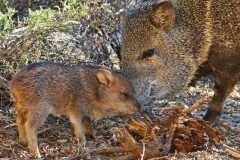 However, they may also be very aggressive if they have any babies in their group to protect. 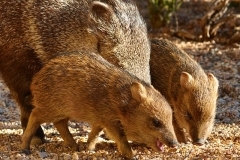 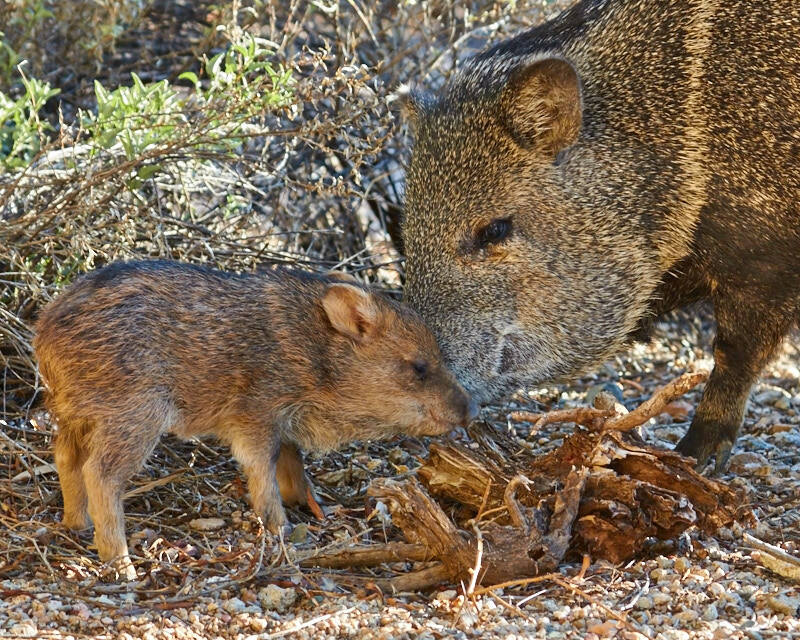 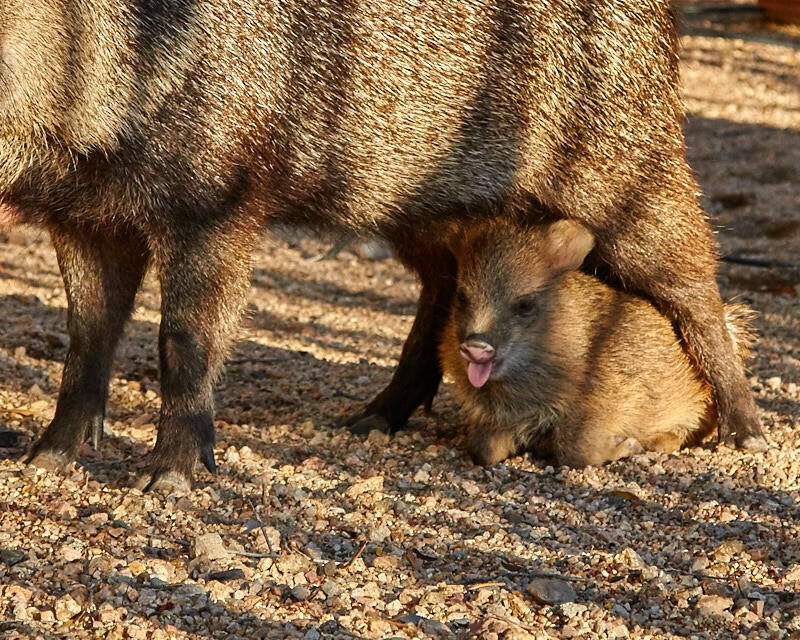 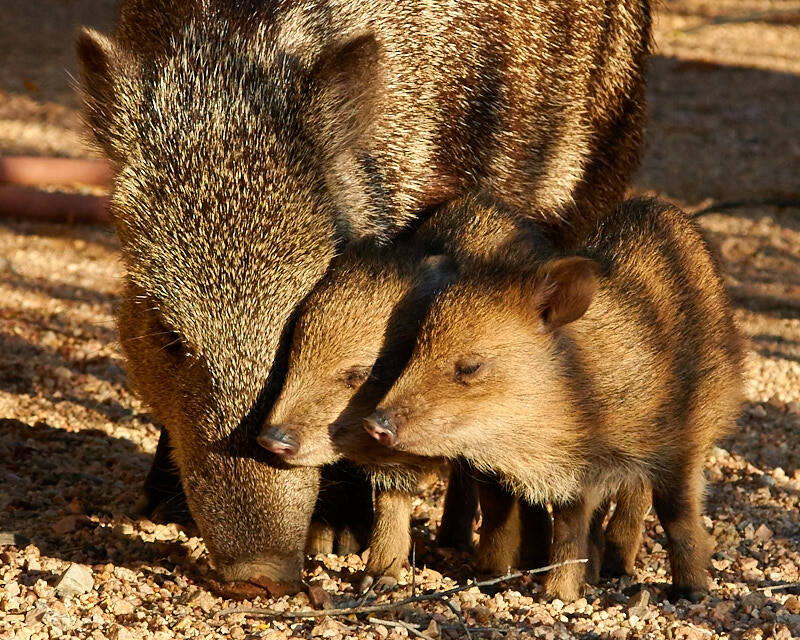 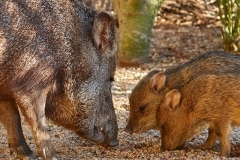 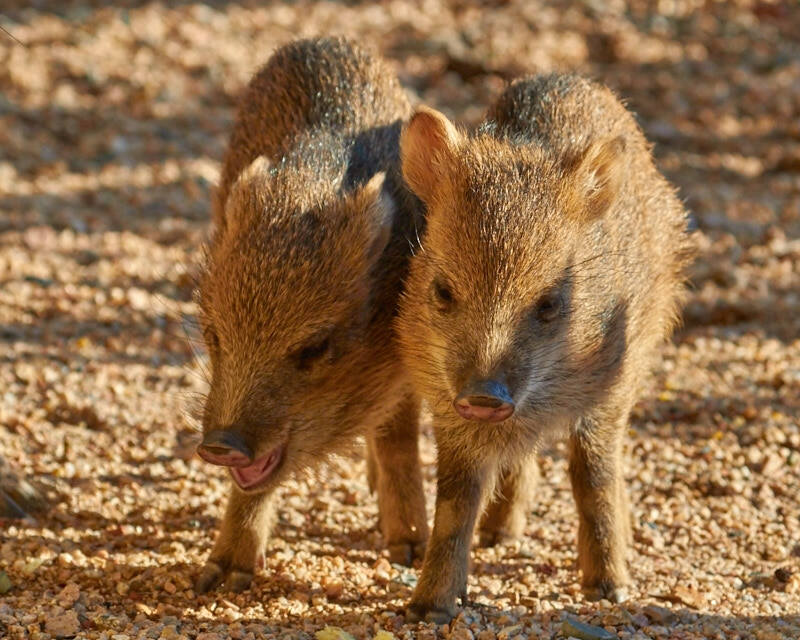 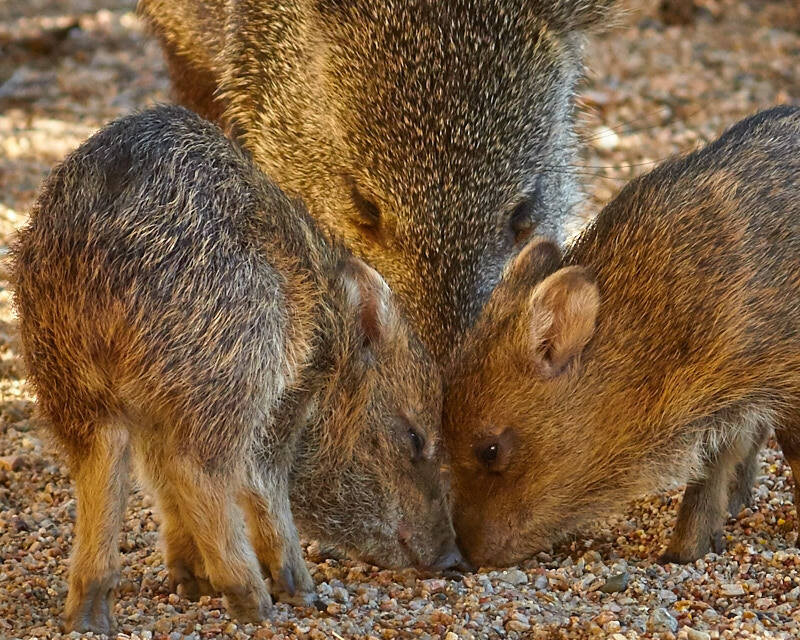 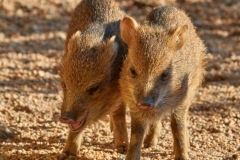 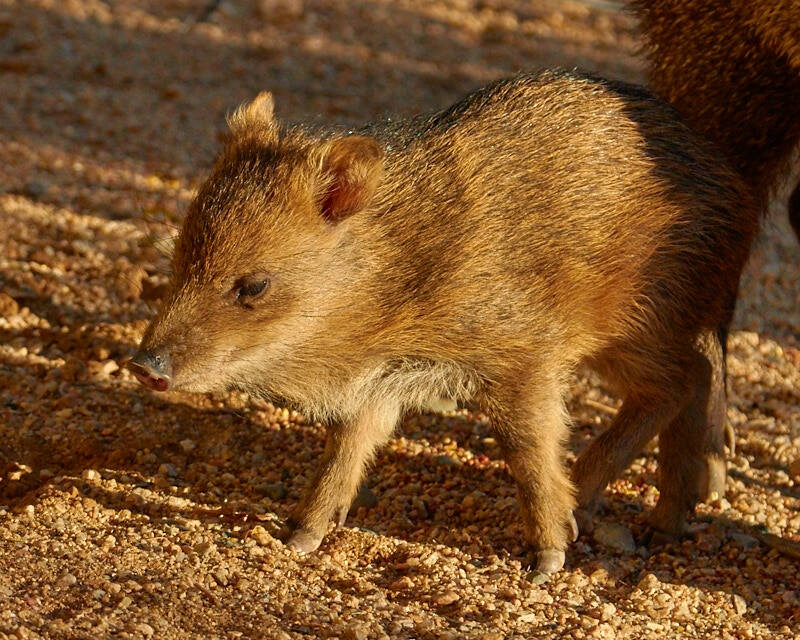 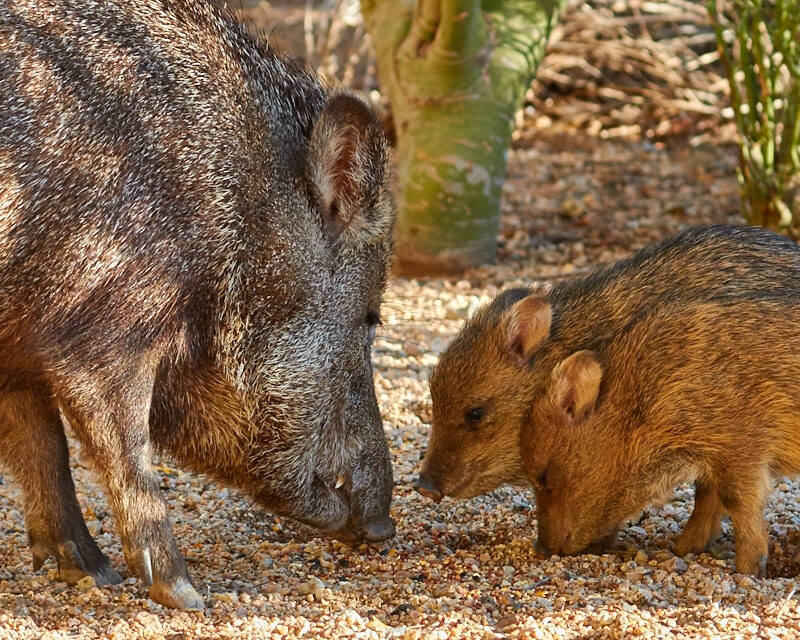 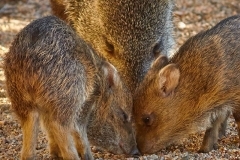 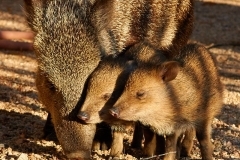 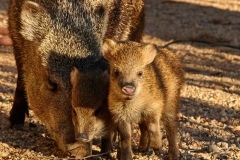 Oh, and by the way a group of javelinas is referred to as a “squadron.” Here are some photos of a squadron of four adults and two twin piglets that are probably about 1-month old. 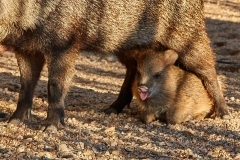 Click on any of the thumbnails to enlarge the photographs.